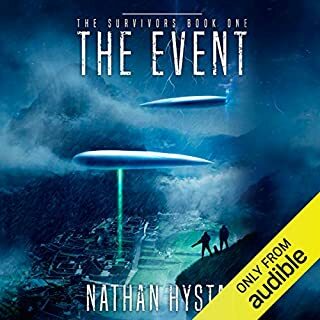 Audible number-one best seller Peter Clines returns with a thrilling tale of the creature above - and the deadly threat below. In the year 2243, the Moon belongs to the dead. The largest graveyard in the solar system, it was the perfect solution to the overcrowding and environmental problems that had plagued mankind for centuries. And the perfect place for Cali Washington to run away from her past. 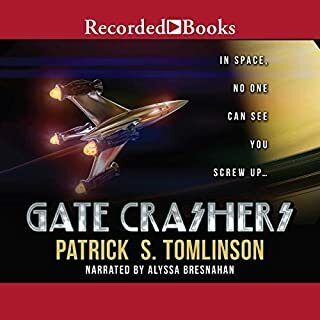 But when a mysterious meteor crashes into one of the Moon’s cemeteries, Cali and her fellow Caretakers find themselves surrounded by a terrifying enemy force that outnumbers them more than a thousand to one. An enemy not hindered by the lack of air or warmth or sustenance. An enemy that is already dead. Now Cali and her compatriots must fight to survive. Because if they don’t, everyone on the Moon may be joining the dead. 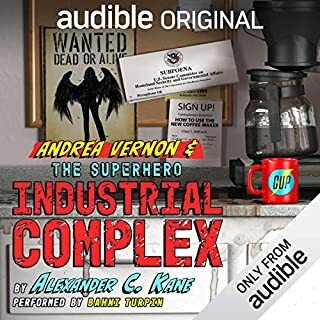 ©2019 Peter Clines (P)2019 Audible Originals, LLC. 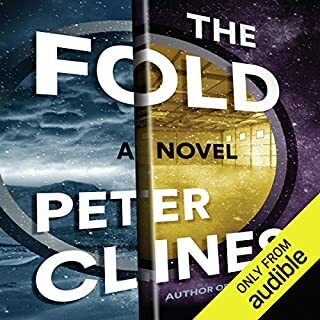 I seldom write reviews, and thoroughly enjoyed The Fold and 14 but this installment in the Threshold series is an absolute exercise in frustration taken to a whole new extreme. I am two thirds through and will be abandoning this book for a while. Maybe the repetition and predictable outcomes will fade enough so that I can pick it up again. I may or may not return it. As other more detailed reviews have pointed out, the characters are cardboard or ... cannon fodder if you want to be generous. Pretty decent book once you drop the notion that it has anything to do with 14 or Fold. 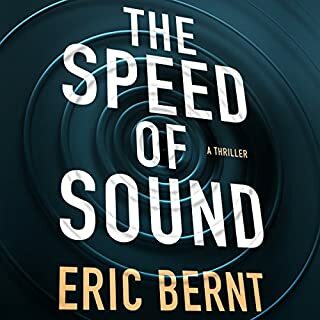 Started off slow but once the action got going the book was hard to stop listening to. I have yet to be disappointed by a peter clines novel, and I am beginning to believe I never will be. 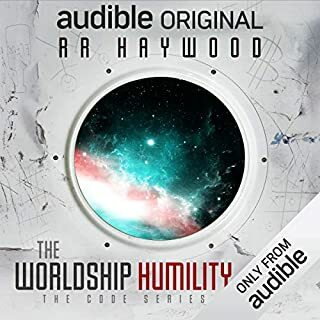 Another great book narrated excellently by Ray Porter. Another instant classic that will be listened to time and again! Thank you Peter! This book doesn't add anything to the series or really even develop the world further. It's zombies on the moon. And it's not even a particularly good zombie story at that. I get that the moon is now a tourist attraction but they only have a sheriff and a deputy as security up there? On a station on the moon? I get that we needed the caretakers to become deputies at some point to get access to the station systems but come on. Also no weapons on the station at all? Not even tasers? No general alarm ever goes off on the station, visitors have to be told there’s an emergency by word of mouth? And those visitors and the station director are dumbed down way too much. 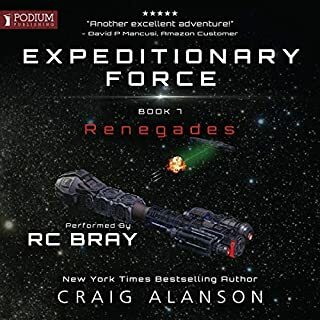 Ray Porter is great as usual but I felt like even he wasn't sure how to define the personalities of the main characters and some of his choices felt wrong. Finally, why do the main characters (who know what's happening), keep asking: “What’s going on?”, "What? ", "Why", as frequently as they do. 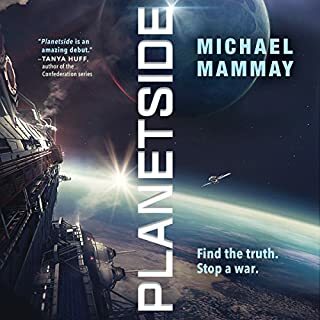 I had this pre-ordered and was excited the new Threshold series book was coming. LOVED the first two and eagerly started this as soon as it hit my library. Sad to report I couldn’t be more disappointed. I’m not even sure that’s the word. I’m shocked at how bad this is. Remember those fun and well thought out sci-fi plots with great characters you really got attached to? Remember how there was some attention paid to science? Forget all that. That’s old news. You know what the people want these days? Space. Zombies. I wish it were a joke. 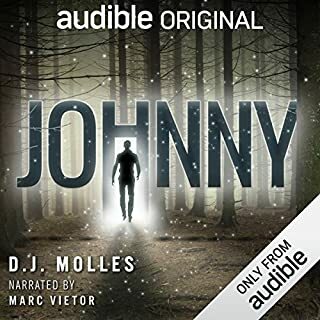 It’s almost as if they tried to have AI write this and it decided to just copy paste from every possible cliche zombie book with one dimensional characters. Don’t worry. This is different because......they’re on the moon! The entire premise makes zero sense and there’s no attemp to explain any of it. At all. And there is no one or anything to care about in this stupid story. The characters aren’t developed and the “main” characters actions I could predict enough so that I was skipping through chapters just trying to find something interesting. Hours and hours of just, running from zombies, or not believing there’s zombies and then running from zombies. The only characters that made sense are the ones who kept saying “This is madness”. Yes it is. My god why have you done this to your fans? Why did you put this into the world? I tried to listen to the end and can’t do it. It’s that bad. I have less than 90 minutes and can’t. 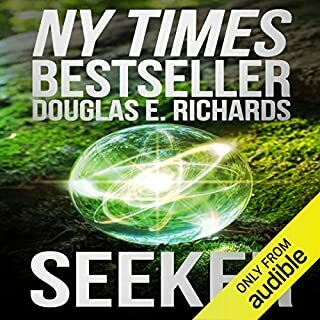 I have over 500 books in my Audible library and I can only think of a handful of times I couldn’t make myself finish. I’m sad to say this is one. Bring back this series please. This cannot count. We can all pretend this never happened. How can you call it Threshold series? If you enjoyed 14 and the Fold (which I loved) and expected anything similar, then you will be disappointed. This has nothing to do with other two. This is basically zombie/alien outbreak on the moon in future. No reverence to Kavach, characters form other books etc. 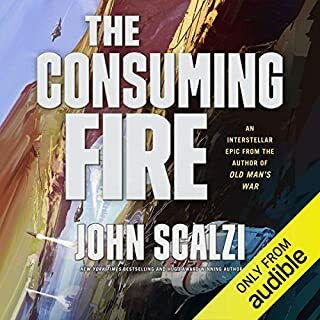 To the very end I was expecting some connection or plot twist that would put it with 14 and the fold in Threshold series. 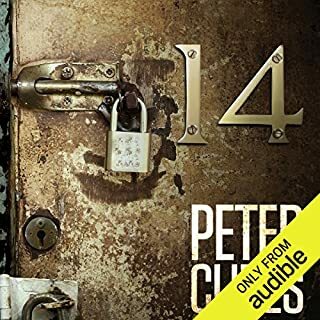 I like Peter Clines' writing style and Ray Porter is one of my favourite narrators. It simply was not on par with other books. First half was extremely linear and it was hard to keep focused. I also had feeling that Ray Porter forces himself to read throug it due to some loyality to the author. Even if I wouldn't have such high hopes for this book I couldn't give it more stars for the story. 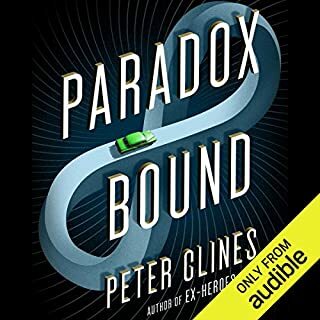 I really wanted to love this, but I found it extremely slow to get going and without the two most important things I expect from a Peter Clines novel - awesome characters/character interactions, and twists. I felt that the characterization was too little and much too late. 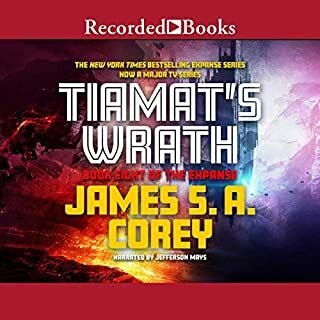 I didn't have any reason at all to care about any of the characters until about 2/3 of the way into the book. By then, I would have already returned it, if it wasn't a Threshold book, to be honest. The first 2/3 of the book is a very linear, standard story without surprises of any kind. It just wasn't very interesting, especially without strong characterization to carry the story along. There weren't any of the cool mysteries like the green roaches or blacklight fixture of "14", to pique my interest and make me wonder what was around the corner. Still looking forward to the next book... just hoping it will be a little more like 14 and The Fold as far as pacing/characterization! I loved 14. I loved the Fold. I absolutely hated this one. My problem is that the entire story is entirely driven completely by pure undiluted idiocy of massive and unbelievable levels. Almost every single character behaves in the most ridiculously over the top lobotomized way possible (esp the 'Mayor')- and it's entirely what drives the plot and story. I could believe a character or two could be this dumb or just react poorly to the stress of the situation, but pretty much everyone on the moon seems to have been hit by a cosmic ray of mental enfeeblement. It strained my credulity to the breaking point and beyond. Just left me frustrated and angry. I loved 14, I've listened to it a handful of times. I loved The Fold, it did an excellent job of building that lurking fear of the unknown. I slogged through the "Ex" zombie books hoping to find some of the same intensity, but the zombie genre is so saturated that only the most well written and unique stories manage to hold their own. I always assumed Clines wrote the "Ex" books because he could fire them out at a rapid pace and earn a steady paycheck. I figured he wrote them while he was brainstorming the good stuff like 14 and The Fold. I listened to the first 9 hours of Dead Moon in a state suspended disbelief: "It can't just be zombies on the moon". Sure, there's a tiny bit of the same Space-Whale-Alpha-Predator story in the very end, but it's not worth getting there. 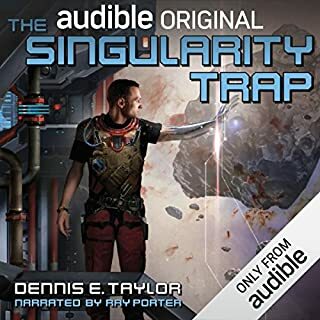 Silver Lining: Ray Porter remains an incredible narrator. Thank you Ray, for breathing life in to this husk of a story. 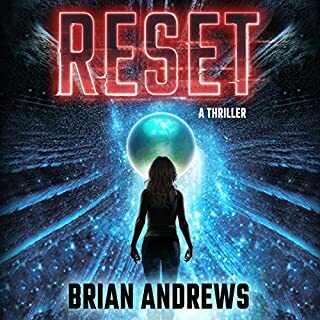 Don’t expect this book to be at the same level as the first two books in the Threshold series. It’s a straight up zombie outbreak on the moon story with only the slightest relationship to the first two books. 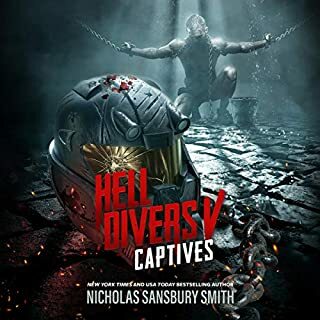 It reads like a side project that was adapted into the Threshold series in the 11th hour. This has to be among the worst books that I've ever finished. That is not to say it is a terrible novel, but it is clearly unfinished, rushed with nigh a character that you care about. I've read the other THREE books in the series (I have no idea how Paradox Unbound is not included in this) , and outside of the author, you can barely see any resemblance. The other three books deal with parelell universes and strange scientific occurrences, Those books were brimming with science. This book is not a science fiction novel. It is a horror novel, a zombie novel with hints of Ctuhulu. Despite the strong opening that introduces to us a mysterious outsider, this interesting premise is soon abandoned for your run of the mill zombie movie tropes. 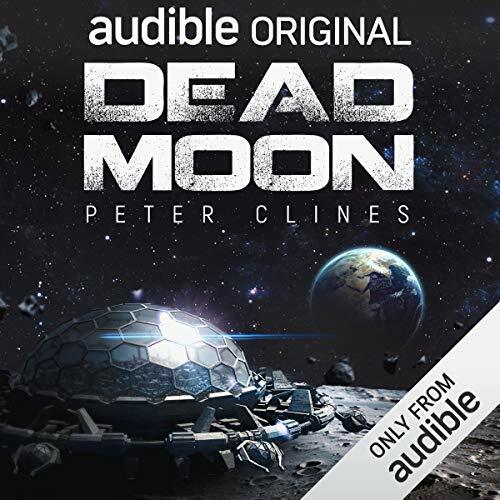 The moon offers a dull and uninteresting backdrop and there isn't enough else going on in the book to distract from the absurd premise of burying bodies on the moon. The book prods on. 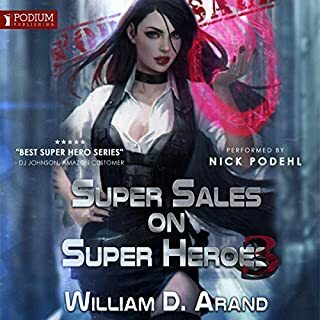 The solution that "saves" the day literally is brought up about 3/4 of the way into hte book but the ending drags on so much that by the time you reach the end you are begging for all of the generic protagonists to be killed. Instead, the only people who are killed are those who are very stupid and very much no longer a plot device. Most characters make asinine decisions during the book that no one would make in such a crisis. For instance, an important item is carelessly left lying about. In another scene the 'greedy (que cartoonish handclasp) bad guy is completely unphased by the all out zombie attack and just wants to make some extra money. In another scene, the career-minded politician refuses to warn anyone because she doesn't want to lose her job. So glad to pop in here to see if it was me or not and find out it's not! I generally love Peter Clines but even Ray Porter seems to read this book meh. I've got about 2 1/4 hours left and I'm not sure if I'll finish. I don't usually read reviews while I'm actually reading the book but as I said I wondered whether it was me struggling or whether anyone else was too. 14 and The Fold were great and I just don't think Dead Moon was as good as the first two. Not even close. How is this a part of the series?! This was such a let down from the first 2 books, none of the returning characters or even references to them, story has nothing to do with the other 2 besides the having the same monster. Feels bad calling this part of the series when the quality of the story is so much worse. Ray Porter is still amazing in this given what he had to work with. Characters are poorly written and don't get a hint of background about them until 3/4s of the book. No explanation of most of the major plot points. Last point is a bit nitpicky but the portrial of a futuristic society with a colony on the moon and their future tech seems very unimaginative, it's the 2200s and still references to flat screens? The future tech that sounds interesting just doesn't get detailed out more than "magic yellow healing goo with a long name"
Overall this story would have benefited from another 30 minutes or so of tying loose ends and fleshing out of the characters and story.